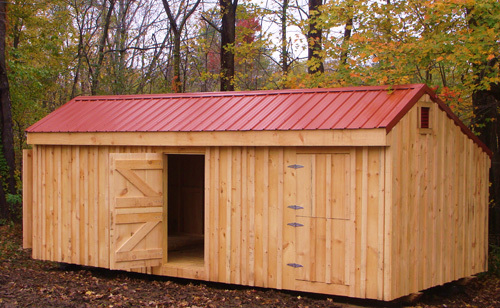 Our custom stables are perfect for housing animals or used to store feed, tools, or special equipment. Farmers or animal enthusiasts alike love our sturdy and full dimension lumber built stables and out-buildings for housing or extra storage. Built tough! Built to last even in our harsh Upstate NY winters.